The new Aluminum series is made with lighter materials and has reduced overall dimensions compared to the standard offering. This line of heads are especially suitable for lighter and smaller machines with ISO BT 30 and 40 whose tool changers can only handle limited weight. 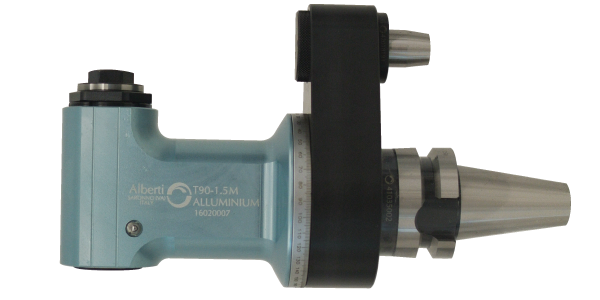 Determine if the Aluminum is right for you. 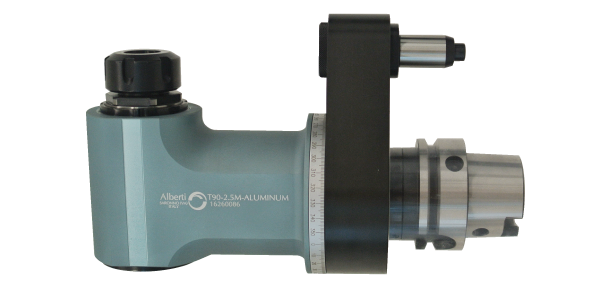 The new Aluminum series is made with lighter materials and has reduced overall dimensions compared to the standard offering. 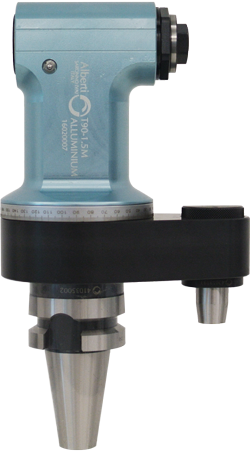 Heads with internal coolant is an option with the Aluminum series. Stop blocks that are customized for different machine types are available. Especially suitable for lighter and smaller machines with ISO BT 30 and 40, whose tools changers can only handle limited weight. 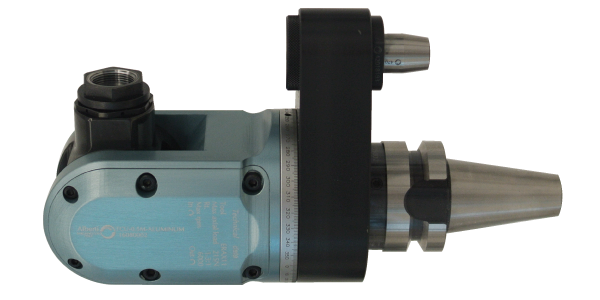 High speed up to 10,000 RPM for mechanical heads and up to 60,000 RPM for air driven units. On the BT 40 heads customer can mount the new quick change system, Smartchange.